DETAILS: Once you step through the front door you will find marble floors and rich woods teaming together to create an elegant beach atmosphere. The living room leads out to a beautiful balcony offering a front row seat to the breathtaking sunsets and sunrises over the shimmering water. This living room is adjacent to the recently renovated kitchen, featuring brand new appliances and gulf views! There is a guest bedroom on the main floor with a king bed and flat screen TV. From the main level you can travel downstairs to a perfect getaway for the kids. There are 3 sets of bunk beds with a flat screen TV, as well as a beautiful view overlooking the coast. The outdoor wooden furniture and propane grill make this the perfect area for family gatherings or a 4th of July bar-b-que. On the third floor of the home you will find the Master bedroom with a king bed, flat screen TV, walk in closet, and newly renovated master bath that features an oversized tub, shower and access to your own private balcony. Down the hall there are another set of bunks and two other guest bedrooms with king beds. Whether you are one large family or a group of families vacationing together, this home is ideal for making long lasting memories on 30A. This home participates in our Complete Clean Linens program. This means that you may enjoy plush, king-size pillows on every bed and rest easy with the knowledge that ALL bedding is laundered after each and every guest checkout. With this in mind, please be aware that comforters and other bedding may differ from those pictured. I cannot imagine a more beautiful home in which I was able to spend this week. Property management was outstanding anticipating anything we might need — although all was perfect and nothing was required. All of us commented about what good night sleeps we had. One night we had a terrible storm during which bathroom outlets and the fuse switch needed to be reset. Easily accessed even by a 70 year old woman. I happily recommend this property to both small and large families! I hope to be able to return soon! We could not be more thrilled to hear how much you enjoyed your vacation with us in Blue Mountain Beach! 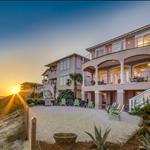 We completely agree that this home is such a wonderful option for a fun and relaxing beach getaway! Thank you for staying with 360 Blue, we look forward to seeing you again soon! We enjoyed the size, layout and location of this home. The beds are pretty comfortable but form. There are plenty of towels, kitchen plates, pans and storage. Overall we had a pretty good time. However, there are a few things that would make this property better: -Central air for the bottom bunk room -more comfortable seating in the den -lounge chairs on the balcony -a better coffee maker that doesn’t leak -a separate ice maker or at least an ice maker in the second refrigerator -a working oven (this is being addressed by property mgmt) -new pillows -working blinds -hot water that doesn’t fluctuate 360 Blue has been great to work with and we will use them again. We are very glad that you enjoyed this home for your vacation in Blue Mountain in spite of some issues experienced during your stay. In the future, please let our Guest Ambassador department know of any and all issues so that we may address them during your stay to make your stay more enjoyable. We will be sure to share your valuable feedback with our entire team. Thank you for staying with 360 Blue, we hope to be able to host you again soon! We love Blue Mountain Beach and we loved the house and location! We also love that any time we stay with 360 Blue, they take care of any issues and are always there to help! Thanks for a wonderful vacation that we didn't want to end! We are so delighted to hear how much you enjoyed your stay with us in Blue Mountain Beach! We agree that this house is in a perfect location to enjoy everything that this wonderful community has to offer! We are so glad that your experience with 360 Blue was a positive one and we look forward to seeing you again soon! We were here for our Son’s wedding. When we arranged the rental we were told we could host a bonfire on the beach and this was later reversed causing us to move the fire to the public beach access...a big disappointment! Location is great, overall house is spacious, has beach toys and bikes in the garage which is nice. None of the bathroom outlets worked and the floors were not clean when we checked in. A little more attention to the details would be appreciated. The outdoor patios and balcony’s were awesome! 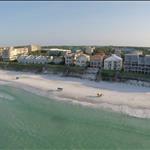 We have rented numerous houses on 30A. This one was not the best or the worst. We do apologize for the fire being moved to the public beach. Unfortunately, the county rules and regulations for private versus public beaches and what can and can not be done at a private beach has changed within the past couple of months. In regards to the outlets in the bathrooms, we do show that you told us about that issue upon departure and it seems the breaker just needed to be reset. In the future, if you run into any issues please let us know as soon as possible so that we may correct any issues that would impact your stay. We do agree that this location is top notch and the home comes with some great bonuses and the picture you shared is priceless! We look forward to seeing you again soon! Best vacation we’ve ever had. Customer service is exceptional, house was beyond our expectations, and the beach and ocean are indescribable. We are so thrilled that you enjoyed your vacation with us in Blue Mountain Beach! We are also very pleased to hear that your experience with us at 360 Blue was a positive one and we hope to host you all again soon! Loved the house. Great location and we were able to bike to several spots nearby. The house next door was under construction, so it was a bit noisy during the day. Other than that, it was alot of fun and we'd definitely consider staying again provided the noise wasn't an issue. We are so glad that you enjoyed your stay with us in Blue Mountain Beach! We agree that the location of this home is wonderful and having the bikes makes for a stress-free vacation! We look forward to seeing you all again very soon! We are friends from college that are scattered across the country. We decided to start a bi-annual trip so our kids would know each other as the grow up; and this was our inaugural framily vacation. The house was perfect for our group of four families, 8 adults and 6 kids. Thanks so much for helping to make our first trip a success! We could not be happier to hear how much you and your group enjoyed your vacation! We love hosting fun get-togethers like this and by the look of the amazing photo you shared, it looks like it was a success! We agree that this home is perfect for larger groups and we hope to host you all for many years to come! What an amazing property!!! Everything was class act and so happy this was available for us. Looks like the perfect beach day! We are so happy to hear that you loved this beautiful home as much as we do. We hope to see you back at the beach soon! Our visit may have been short but it was most definitely very sweet!! Morning walks on the beach, cocktails on the back patio as the sun set and closing the day with star gazing from the back yard. We will be back for sure!! Such a fun family picture! Morning walks on the beach and cocktails at sunset are what vacations are all about. We are so happy you enjoyed your time here. Please come back soon, and stay longer next time! Thank you so much for your feedback! 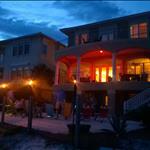 Many thanks to 60 Grande Beach Drive owners & 360 Blue for the use of your home for our family gathering 11/18-11/26. 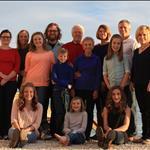 The space organization was perfect for 2 grandparents, 3 children & spouses, & 8 grandchildren. The 8 cousins love being together so the basement bunk room was fun for all ages 7-18. 4 King bdrms with very comfy beds were a great asset. Kitchen = adequate, thanks to instantaneous 360 Blue response when microwave failed. (Will email suggestions for minor improvements.) The open living/dining area & 3 balconies with lots of outdoor furniture + side yard access to the beach are beyond best! 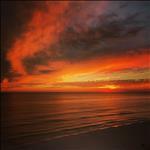 Washer & dryer = a super plus ... and the ocean/beach view with Auburn colored sunsets = totally magnificent! Location is excellent with access to 30A for walking/running, biking or (rarely) driving to local venues. All 16 of us are very grateful for your hospitality & use of your home. We hope to gather at 60 GBD again in 2 years - allowing for spouse family traditions every other year :-) . Peace. Such a stunning photo! We are thrilled that this beautiful home provided such a wonderful place for what sounds like a truly incredible family Thanksgiving. We loved having you with us and look forward to seeing you back in a couple years! This was our first family vacation and it was awesome. 8 adults 6 children. Plenty of room! The location was perfect for us, not crowded family oriented felt safe for the kids to play. The Beach was beautiful as always. We enjoyed the extra toys provided too. Our favorite place to eat was bayou Bills crab legs were out of this world. A little pricey but so good. Looking to book again for next year! Looks like everyone was enjoying a fun day at the beach! We are so happy you and your family had such a great stay in Blue Mountain! Bayou Bills has a great menu and their crab legs are to die for! Thank you so much for staying with 360 Blue and we can't wait to have you back again next year! We had a great time and loved our location on the beach. The house was very nice with beautiful views. We were here for a family vacation- grandparents, children, and grandchildren. We had a great time. The weather wasn't the greatest this week but we enjoyed exploring and shopping instead. The house was well equipped and we appreciated all the extra beach toys/supplies that were available for use! Looks like it was the perfect beach day! We are so happy you had such a wonderful vacation! Thank you so much for staying with 360 Blue and be sure to visit us again soon! We had an amazing stay! This house is the perfect place to relax and just forget about anything at home. 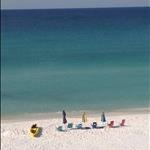 It's also in a great location, close enough to Destin and Panama for when you want to go out and do something, and far enough away to have a quiet and relaxing vacation. Was very pleased with our stay. Wow! This photo is stunning! That’s the one for your computer background so it’s there whenever you need a little beach in your day. Thank you for staying with 360 Blue and we hope to have you back again soon! We loved it! The house 60 Grande beach was a wonderful home (we had 5 in our group) I would have to agree about the rock area that was not very useful. But, I am not complaining! The deck off the master bedroom was my favorite (when it was a bit chill outside and the sun was still shining this was the perfect place to relax). The beds were cozy and there was enough room for all together and enjoy with quite options as well. The location was PERFECT and neighbors along with the property management was helpful and nice. 360 blue properties was so nice to work with offering helpful information about the area and the APP was amazing used it everyday. Thank you again! We are so happy to hear that you had such a wonderful stay! It was an honor to have your family with us. We are thrilled that you enjoyed this beautiful home. We look forward to having you all back soon! 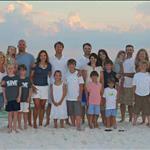 Our large extended family had a wonderful stay at 60 Grande Beach for the 5th Thanksgiving! Everything that we could want is always there. The kitchen and dining are supplied with everything needed for at least 20 persons. In response to our suggestion, the owner has supplied a GIANT washer and dryer. The beds are super comfortable, and the bunk room is great for many kids. The linens are luxurious. The management team is very responsive if needed. We will return! This warms our hearts beyond belief. We are so grateful that you continue to chose to spend your holiday with us. This home truly has everything you could need for an amazing beach getaway. We look forward to seeing you again next year! Exceptional views! Several couples rented the property for a getaway and had a great time! From hanging out in the back yard at night, to enjoying a catered dinner in the kitchen, to hitting the beach, we found your property quite nice and comfortable. Great time had by all. Thank you! Definitely need to frame this photo for whenever you need a little beach in your day! We are so happy you all had such a wonderful stay! Thank you for choosing 360 Blue and be sure to visit us again soon! This house is amazing. It's so well set up. We had a mini family reunion and it was perfect. We were so impressed that the house had EVERYTHING we needed. Bikes, sand toys, umbrellas, kitchen utensils and all very nice. The decor is simple, the carpet needs to be replaced but it's a great house. The porches and proximity to the beach could not be better. 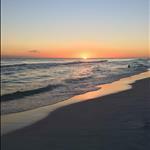 We watched beautiful sunsets and enjoyed the gorgeous beaches. And we also noticed the people in the houses around we so nice too. Great place to stay! What a wonderful way to spend a family reunion! We are beyond thrilled that all of you were able to enjoy this amazing home. The views from the patio here are truly breathtaking. We loved having you with us and we hope to see you back soon! We had a great week! It's a family trip with eleven of us that we do every August. The house was so close to the beach and we loved that. It was very spacious and accommodating. Only thing negative that I could say is that it needs some TLC. The downstairs patio was messy and needs work. The inside could use some new lamps and just a general facelift. Love 360 Blue properties and will use them again! Thank you so much for your valuable feedback. We appreciate the opportunity to continue to improve. We will make sure that the property manager looks into all of your suggestions. We are thrilled that you had an enjoyable stay in this amazing home. We look forward to having you back soon! 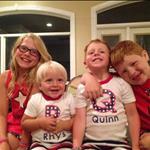 What adorable kiddos! Thank you so much for your valuable feedback. We are having the property manager look into these suggestion so that we can continue to improve. We are so happy that despite a couple small issues, it sounds like you had an amazing time. We look forward to having you all back soon! Our family had such a wonderful time this past week! It was absolutely perfect! Thank you! We look forward to coming again next summer! 2016- Again, we had an absolutely wonderful time! The location and views are amazing! The kids had a blast! Another wonderful stay! Thank you! We are looking forward to it again!!! Stunning beach with gorgeous views! House was everything we needed. Kitchen was larger than expected, dining room worked perfectly and the multiple balconies were just what we needed! Great beach access! We are so happy to hear that you loved this home as much as we do! We hope to have you all back soon! Great view! Thank you so much for sharing and expressing your concerns of the property. We will be sure to do our best to address these issues as quickly as possible. We're glad you enjoyed the app! Thank you again and we hope to have you and your family back again! The house was great for our large family get together. Plenty of room inside and out. Grilled worked great. Cooktop not so much but we had a propane burner with us so wasn't an issue. Super easy beach access, great views from just about anywhere in the house. The 360 management was great to work with. Extremely comfortable master bed! Didn't want to leave!! Beautiful picture! We're thrilled to hear you enjoyed your stay at this beautiful home. Thank you for all the feedback and taking the time to share with us. Come back again, we'd love to have you! Thanks again!! If i had to choose just one word it would be Paradise! This property is so beautiful! The views are absolutely breath taking! The sunsets and water/beach are spectacular! I loved everything about it from the decor to the large and stocked kitchen to the kingsize beds to the large master bath and closet to the wonderful balconies! We had 6 adults and 8 children! This was perfect because the kids loved the huge bunk beds and each family had their own king bed and bathroom! I very much appreciated the cleanliness as well!! It was so hard to leave this place so i know we will be back! Thank you so much for sharing your wonderful home with us!! Let me know if you ever decide to sell! Thank you so much for staying with us and we are thrilled how much you all loved the house! We can not wait to see you on your next trip down here from Spring Hill. We just returned from a fantastic week at 60 Grande Beach Drive S. The house is beautiful and easily accommodated my large family of kids and grandkids (19 total). From the time we booked this property, until the time we checked out, the staff of 360 Blue were fabulous to work with! 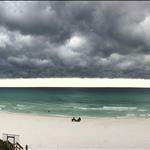 That photo could be on a 30A postcard! Thank you for sharing! We're excited to know you and your family had a great stay with us at 60 Grande Beach Drive. Give us a call soon to start planning another unforgettable trip! 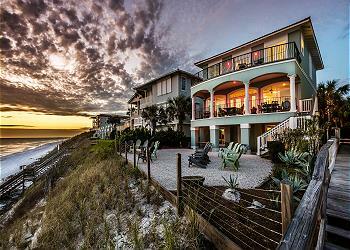 We were amazed with the views and the property at 60 Grande Beach Drive. Stunning does begin to describe it. This home fit all 18 of us comfortably. We loved the large kitchen and dining room table, the stunning sunsets and the incredible unobstructed views of the Gulf. Wow, what an amazing photo you captured! Glad that the sun came back out though, especially for the spectacular sunrises and sunsets! We'd love to have you back for more incredible views of the ocean, thank you! Just returned home from a fantastic week at 60 Grande Beach Drive. 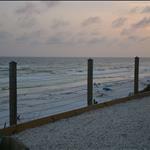 #hallpartyof13 simply loved the accomodations and stunning view of Blue Mountain Beach. Plenty of room, spectacular views and tons of memories. 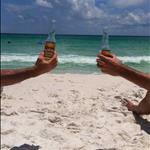 Counting the days untill we return to #30a !! What a great photo of the home and white sanded beach! Thank you Hall Family, we're so glad you enjoyed your stay in Blue Mountain Beach! 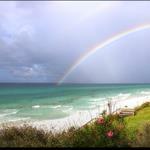 Come back again for more unforgettable memories here on 30A! Beautiful home. Well provisioned kitchen. Most importantly, spectacularly located with gorgeous beachfront views and access. Blue Mountain Beach is great for families and getting away from the crowds. What a view! Thank you for staying with 360 Blue at this ideal beach front home! 14 of us stayed on this beautiful property for 7 nights. We had an incredible time playing on the beach & hanging out on the balcony. There was plenty of room for all of us & we loved that there was so much within walking distance. Our 2 small children stayed in the upstairs bunk room which had its own TV & DVD player & was large enough for our pack n play! The only complaint we had was that for such a large house a secondary fridge would have been awesome. Definitely plan to buy or bring coolers for your drinks during your stay. Otherwise everything else was perfect. We hope to be back next year!! 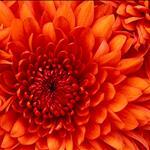 Such a pretty picture! Thank you so much for choosing 360 Blue for your beach escape and for taking a moment to share your experience. We couldn't be more thrilled to hear that you so thoroughly enjoyed the home and your stay! We have passed along your suggestion regarding an extra refrigerator and the owners have since installed an additional refrigerator for the garage! It was such a pleasure to have you! Can't wait to have you back next year! 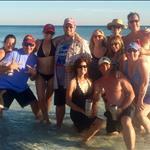 We are a group of 12 women who take a yearly trip together, and 30A seems to be our hot spot. We love the area, food and the beaches never disappoint. Our favorite thing to do is to spend as much time on the beach as God and Mother Nature will allow. Looking forward to next year. This photo is absolutely breathtaking! WOW! An annual girls trip sounds like such a fabulous tradition. Thank you so much for making 360 Blue a part of this special getaway this year. We are so happy to hear that you so thoroughly enjoy this enchanting area, and we are looking forward to your next stay! The view from balconies is fantastic!! Great accomadations, the Kostka familiy will do this again. Thank you 360' for your help and information support. Perfect photo! Just like the ads! That view really is unbeatable. We are so glad you enjoyed it - and your stay, of course. Thank you for choosing 360 Blue for your summer vacation. It was a pleasure to have you and we hope you'll be able to make it back to the beach soon! We had a wonderful time at 60 S. Grande Beach Drive. The location of the house being beachfront and the layout worked great for our family of 14. The only things to suggest: new kitchen knifes (the current ones were dull), potentially an extra fridge in the garage for extra beverage/food storage for the week to keep down return trips to the store due to the kitchen fridge space, and most important, repair of the boardwalk next to the house. Two of our family members cut their foot on the nails sticking up and another gentlemen renting in the community cut his so badly he had to go the ER. Other than that, I would come again and will highly recommend it. This is a gorgeous photo of the home! Thank you so much for sharing and for your valuable feedback. We will get the kitchen knives replaced tomorrow at the next checkout, and we are happy to report that the community's HOA rep has confirmed that they are currently in the process of replacing the the boards and changing out all then nails. This process is almost finished as of today. Also, the owners have decided to add a second refrigerator to the garage! Thank you again for your feedback and suggestions as they are always helpful! We are glad that these inconveniences didn't put a damper on your stay. Thank you so much for choosing 360 Blue for your vacation. We hope to have you back soon! Our family had such a wonderful time this past week! It was absolutely perfect! Thank you! We look forward to coming again next summer! What beautiful, happy children! We just love to see these smiling faces! They look like they are having so much fun! We are so happy to hear that you enjoyed your stay and we can't wait to have you back soon! The Robertson family spent our second Thanksiving week at 60 Grande Beach. It is a wonderful family home right on the beach and right next to the walkway down. The kitchen is fully stocked and the dining room has seating for all. There is plenty of room to spread out on the 3 floors and 3 terraces. The house was spotless upon arrival, and the linens are hotel quality. Our couple of maintenance issues were handled immediately. We look forward to another family week together there. WOW!!!! Just pure awesome!!! We are so thrilled to know you loved the spot and made great Holiday memories with your family. We miss you already!!! What a perfect week in Blue Mountain! Loved the house and the view. We hope to be back! Thanks so much for the wonderful memories! WOW! what an awesome group! What great memories you all made here at the beach! We hope you will make this a yearly tradition.